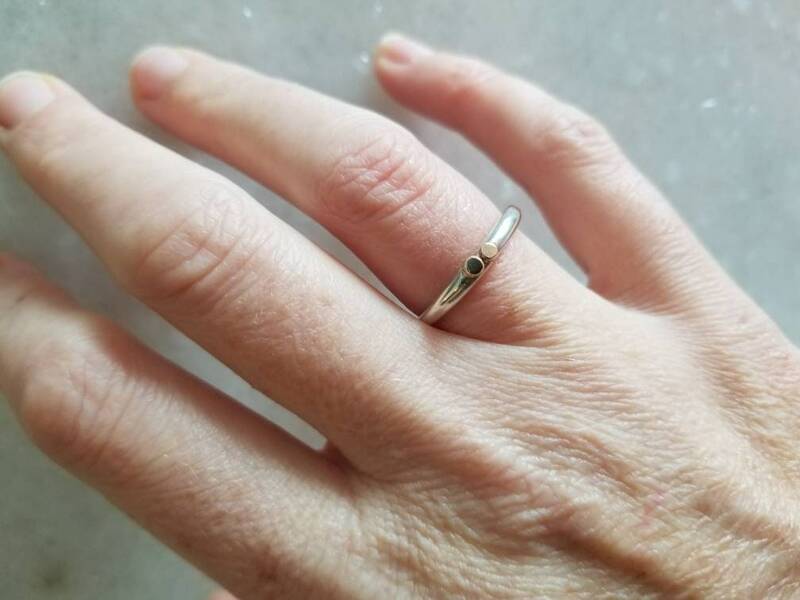 This hand forged and tapered sterling silver band tapers from 2.5mm to 1.5mm. 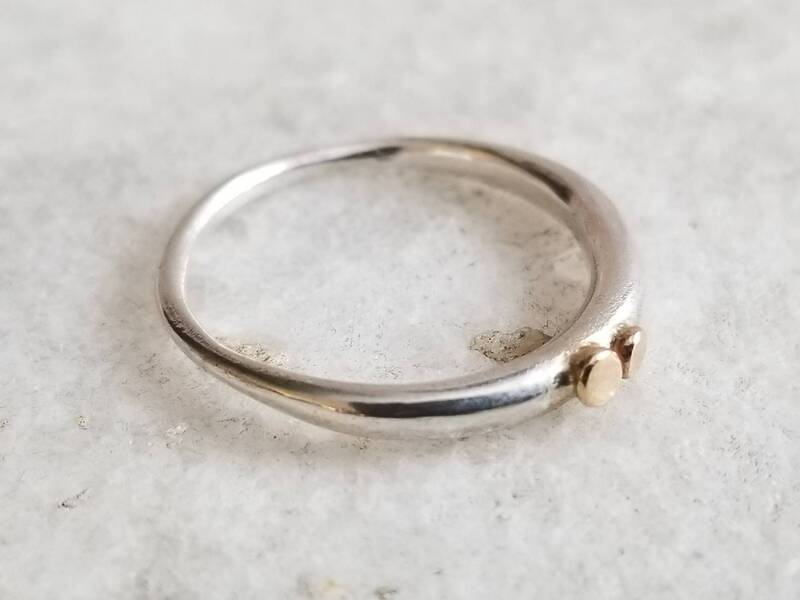 It has two 14k gold dot accents. 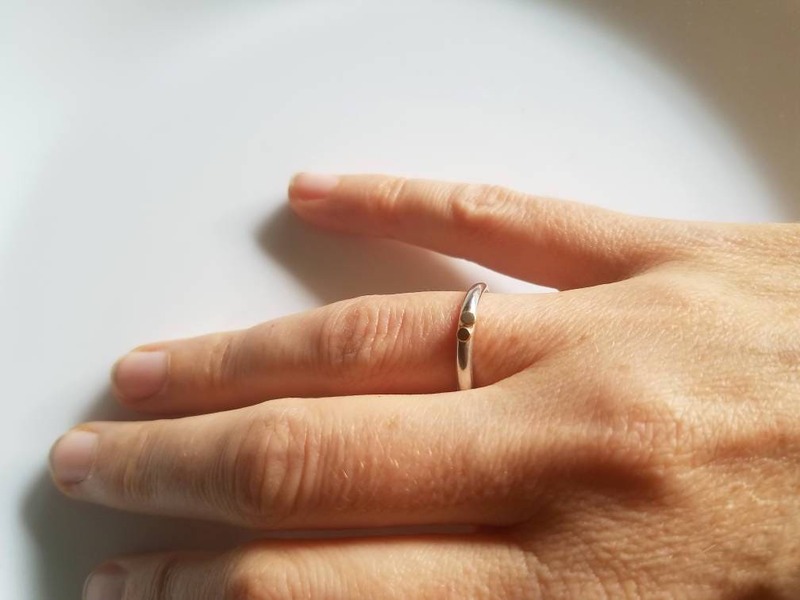 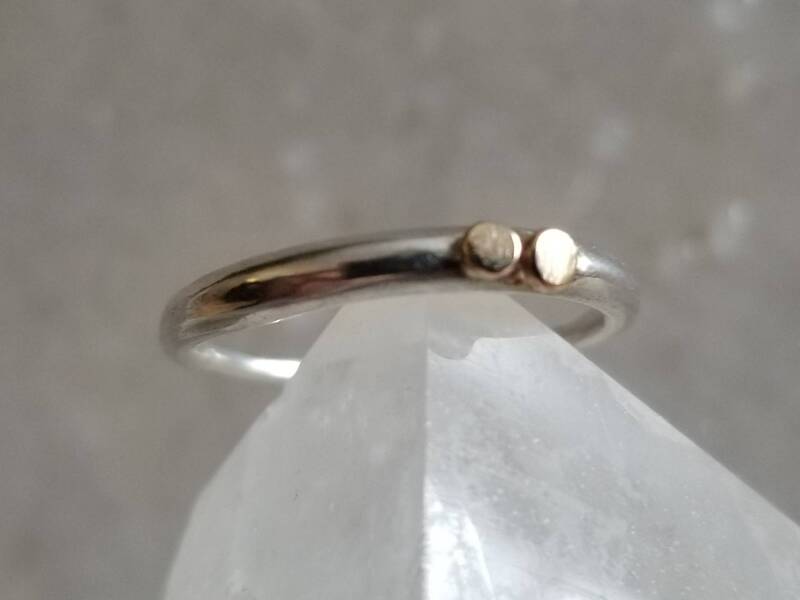 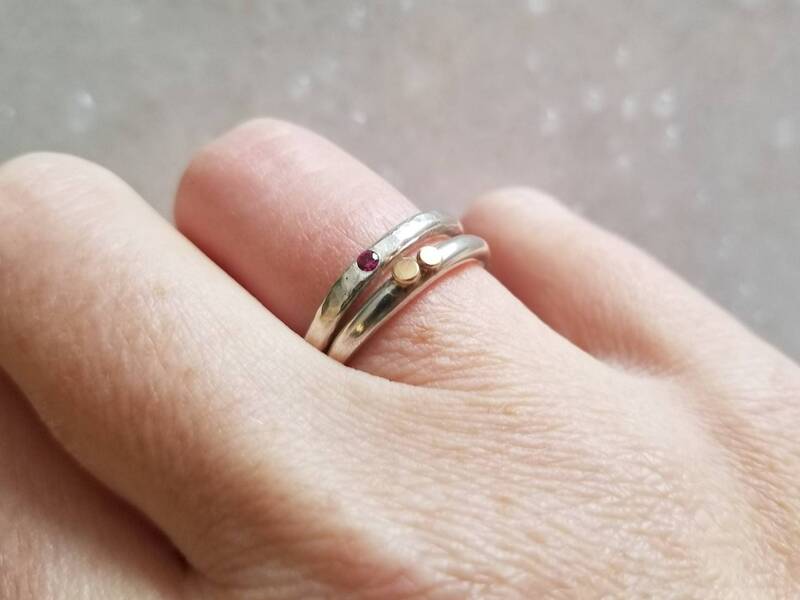 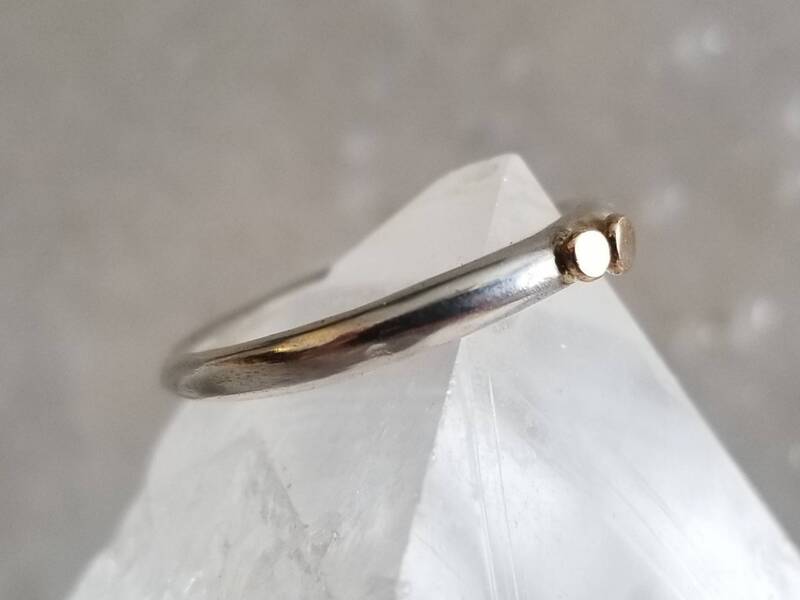 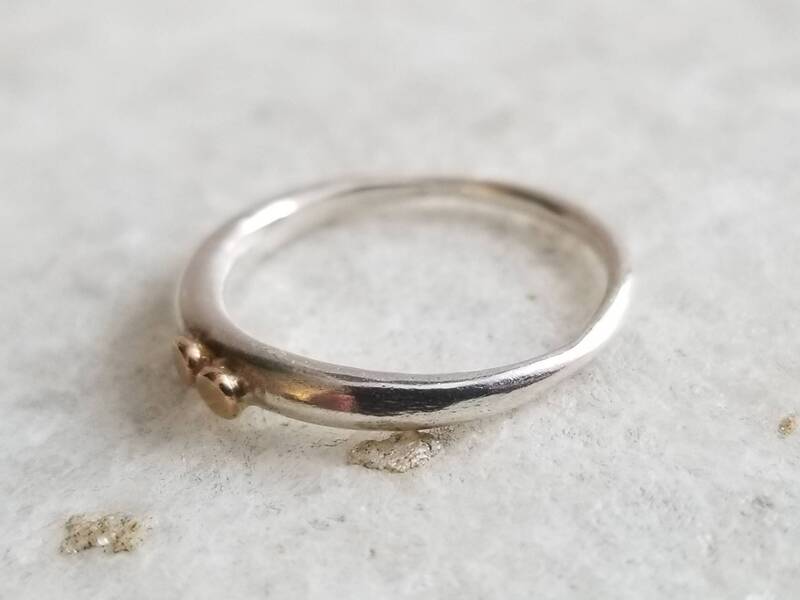 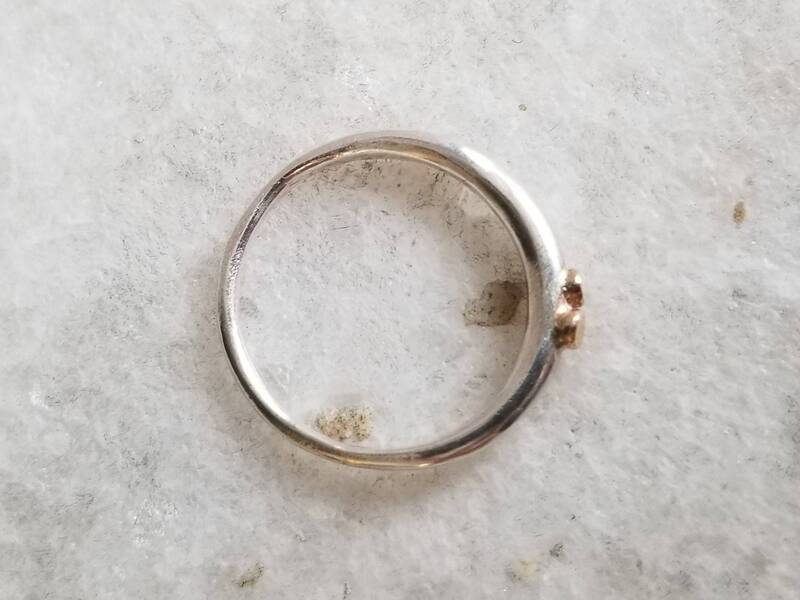 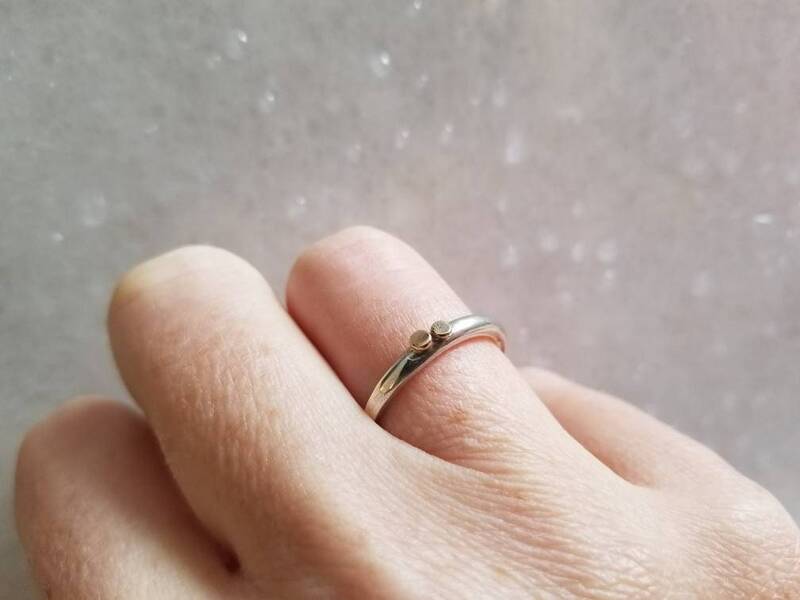 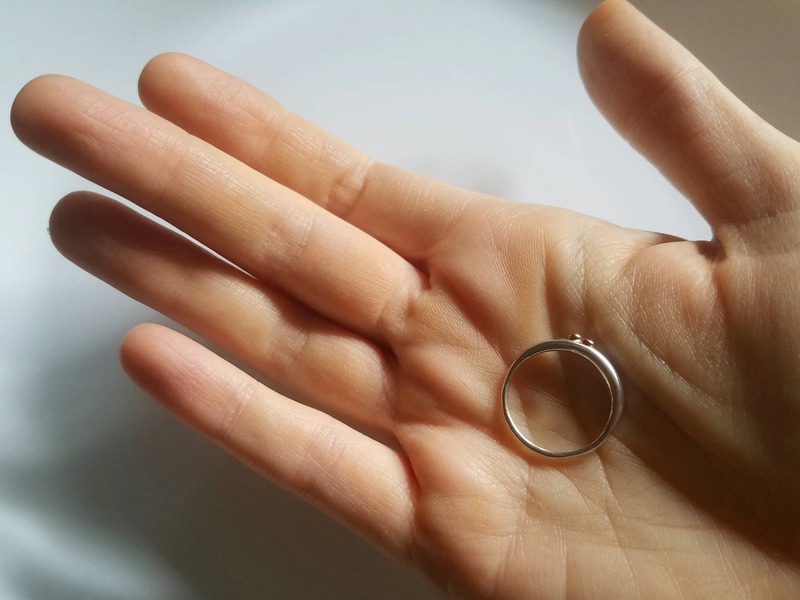 This ring is lovely worn alone or in a stack.